Orders placed for in-stock items (except computers) placed before 3PM Eastern Standard Time typically ship out the same day. Orders placed after 3PM Eastern Standard Time typically ship out on the following business day. Occasionally delays do occur, however most items always ship within a maximum of 2 business days from the date they were ordered. If you intentionally place an order for a backordered item, those items will ship when they arrive to our facility. If you place your order with us and the item you ordered is discovered to be out of stock we will contact you and offer you a full refund or give you the option to wait until the items come back in-stock. Any estimates given on backordered items are just that, estimates. We cannot gaurntee when we will recieve certain items, but as indicated in our general policies, you may cancel your order for a full refund at any time before the order ships. Computers ordered through eVerbatim typically ship within 7 to 10 business days of receipt of the order. This time can vary slightly depending on our current work load and any custom options you may have chosen, but on average 7 to 10 business days is our normal delivery schedule. If you custom ordered a computer through us, those are typcially delivered within 3 to 5 weeks. Custom computers are built to order directly from the manufacturer and then sent to our office for configuration. All custom ordered systems receive a priority status, meaning that once we receive them from the manufacturer they are pushed to the front of the line and typically ship within 2 business days. 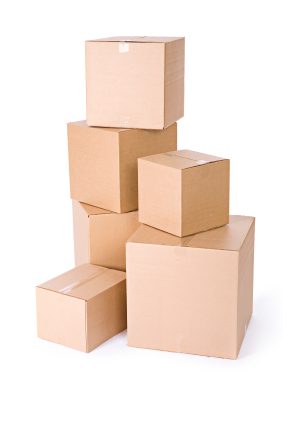 All computers are packaged and shipped in a non-branded brown cardboard box as to not draw attention to the actual contents and are carefully packaged to insure no damage occurs during transit. All laptops,writers, and other items with a value exceeding $150 are shipped with a signature required. If you wish to waive the signature requirement, you must do so at your own risk, assuming all responsibility for any parcels that are missing after delivery. All orders placed with us are sent using either FedEx or UPS traceable, insurable services and are packaged inside appropriate containers with plenty of packaging. Our online store will notify you when your order ships and provide you with a tracking number for the carrier you have chosen. It is your responsibilty to ensure that you receive the package, especially if it requires a signature. Only high value items (such as computers or writers) are sent with a signature required. Most other items will be left at your home or whatever normal method you receive packages.